Every $5 play gets you one entry into the draw. 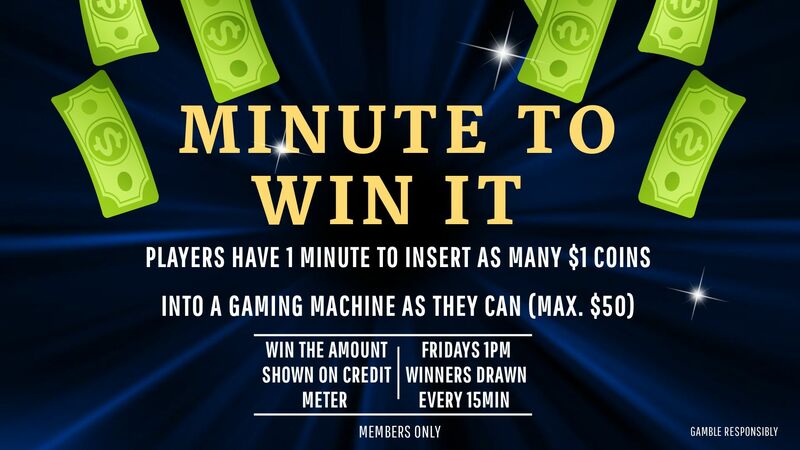 Three people are then drawn to insert as many $1 coins as they can into a Gaming Machine. When the minute is up they win the amount shown on the credit meter.